Ahead of E3, developer Iron Glaxy has revealed a teaser trailer for a new IP titled Extinction (how was that game title not taken already?). Best known for working on fighting games such as Killer Instinct and Divekick the new title appears to be a third person hack and slash title with a sprinkling of free running and adventure title level traversing. The trailer followw a warrior named Avil, who appears to have been modelled on 2015 Major League MVP Josh Donaldson. The sword weilding hero seems to be the lone defense of a medieval type village that is being attacked by orcs (or ogres, I can never tell the difference) called Ravenii. The beauty of the Ravenii attack is the varied appearance of the foes with some giant towering beast, listed at 150 feet tall on the Extinction website and are reminicent of Shadow of the Collosus, while others are smaller but gifted with flight. 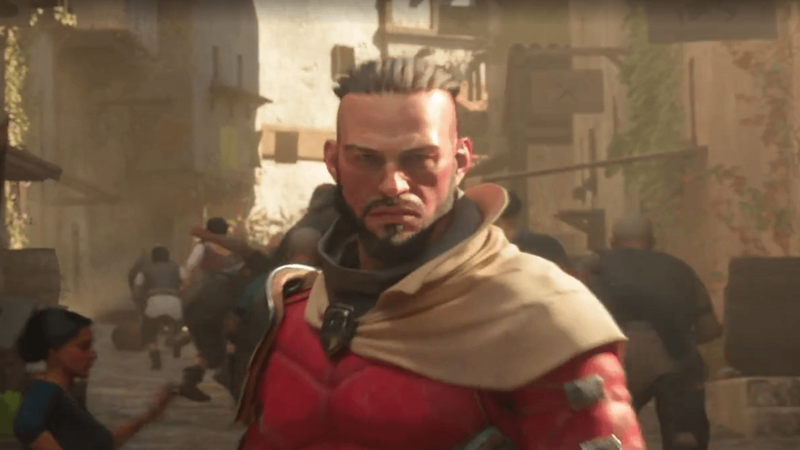 One thing that is abundently clear from the footage is that this guy can handle a sword and that there are going to be a lot of Ravenii limbs severed and a few heads to boot. While the majority of trailer features pre-rendered footage there is a brief view of gameplay action at the very end of the clip. The footage has the appearance of a bit of God of War perhaps mixed with a little Dynasty Warriors. The kills are quick and brutal although it has yet to be revealed how the introduction of gigantic enemies the size of those seen in DShadow of the Collosus will affect gameplay. There is no doubt that more gameplay footage will be coming given that E3 is just around the corner. According to the reveal trailer Extinction will release in early 2018 and be available for PS4, Xbox One, and PC.